Desirable and friendly neighborhood. With the living room right off the dining makes it great for entertaining and that leads right to the backyard. Want more space? Spread out in the family room! This Heartwood home is ready for you to move in. Easy to show for a private tour. Contact today! 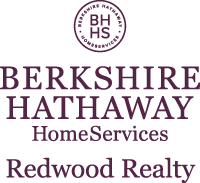 I am interested in 1690 Heartwood Drive, McKinleyville, CA 95519. Sign up for Inside AccessTM to view recent sales near 1690 Heartwood Drive.